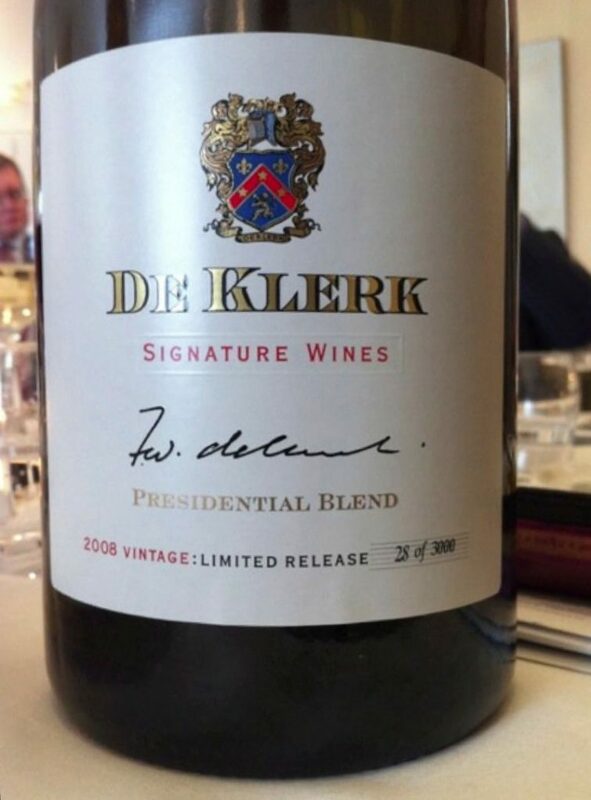 For Leopard’s Leap joint wine venture with Nobel Peace Prize winner and former South African President FW de Klerk, we bottled Mr De Klerk’s Presidential Blend in magnum-sized bottles I was therefore interested to read a recent Bloomberg Businessweek article that big wine bottles are in vogue. Below are a couple of paragraphs from the article. “This March in Chicago, Hart Davis Wine Company auctions sold a single imperial of 1982 Lafite-Rothschild for nearly $42,000. “The appeal of these bottles is clearly their impressive size: a magnum holds two regular, 750 ml bottles; a jeroboam, four; rehoboam, six; an imperial or Methuselah, eight; on up to a Nebuchadnezzar, 20. An added virtue is that these bottles are said to age more slowly because of the ratio of wine to oxygen in the neck.